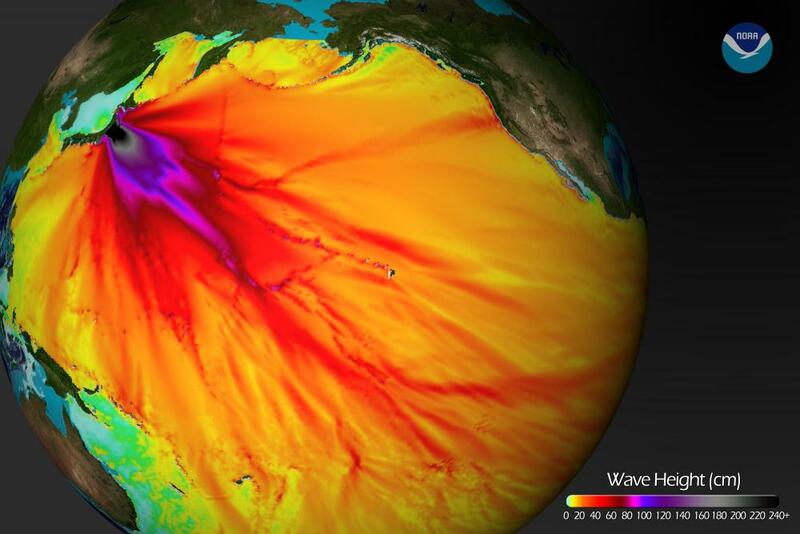 NOAA Center for Tsunami Research (NCTR) is developing and testing new and improved modeling capabilities for both real-time tsunami forecasts, for use during tsunami warning operations, and communitybased tsunami hazard assessment efforts. New generation tsunami models will provide estimates of currents resulting from tsunamis in ports and harbors, and incorporate the stage of the tide into predictions to increase timeliness and accuracy of tsunami forecasts. capabilities that can address the local tsunami problem and provide an accurate flooding forecast within minutes of an earthquake will present additional capabilities to emergency managers for warnings (and their expirations), real-time assessment, potential search and rescue operations, event planning, and other emergency management tasks. This suite of capabilities is of particular benefit to the U.S. West Coast communities most at risk from near-field tsunamis. NCTR is performing modeling studies to determine the optimal distribution of the DART® array, with the goal of maximizing tsunami warning system efficiency while reducing the operational cost to maintain the array. The program is also collaborating with local and state emergency management communities in tsunami hazard mitigation activities, including production of tsunami inundation maps and tsunami hazard assessment studies. In addition, NCTR will continue to collaborate with NOAA’s Tsunami Warning Centers to develop enhanced capabilities for automated and accurate tsunami flooding forecasts. Specifically, NCTR will develop and test new tsunami current forecasts for ports and harbors. Tsunamiinduced currents can produce damage to port facilities far from a tsunami source, as was dramatically demonstrated during the 2004 Sumatra/ Indian Ocean and the 2011 Japan tsunamis. NCTR is committed to ensuring that forecast products are clearly understood, and will develop new graphical tsunami forecast products to be used with new forecast distribution methods. Tsunami forecast delivery methods via web, cloud, and mobile platforms will be developed in partnership with NWS to provide NOAA clients with faster access to needed forecast information.